The Munich Working Papers in Cognitive Typology (MWPCT) series offers people interested in the domain of Cognitive Typology (in its broadest sense) a forum to publish pieces of work, papers etc. in an informal way. 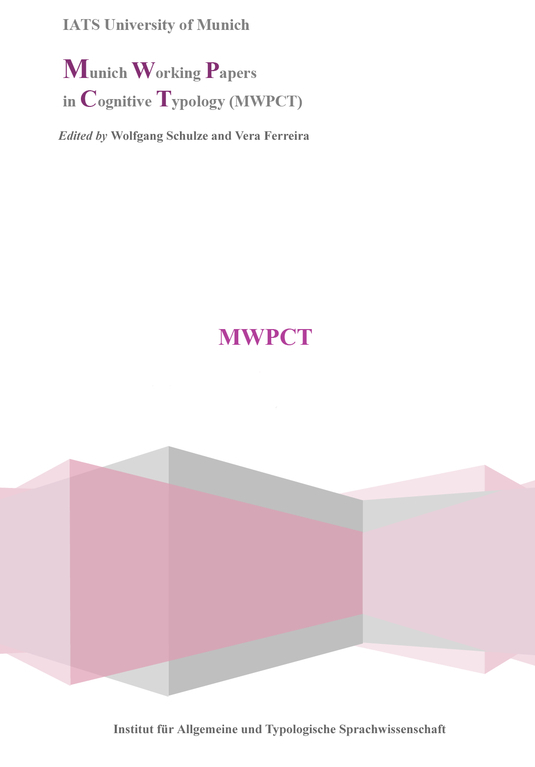 For the time being, all MWPCT contributions are made public online only (PDF). In a later stage, printed versions will be distributed to those who have subscribed to the MWPCT series. Contributions to MWPCT may include individual papers, MA theses and the like (no dissertations!). All submissions are reviewed by the editors (currently Wolfgang Schulze and Vera Ferreira). Please send your submissions to Wolfgang Schulze or Vera Ferreira.